Beyond its success as a tourist destination, Rainbow Lodge’s success also attracted a growing number of year-round and seasonal residents, planting the seeds of the community that eventually became Whistler. 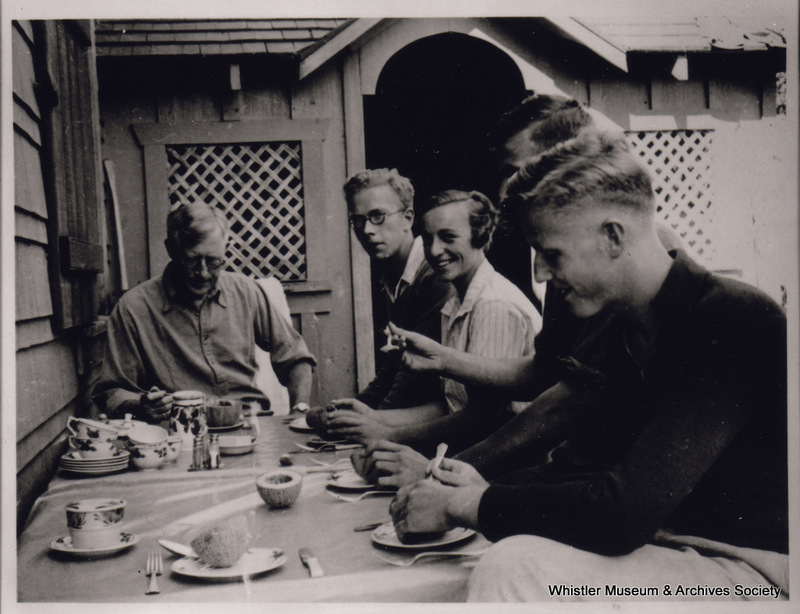 The Vancouver family of Reginald and Mildred Brock was just one family among the growing number of city-dwellers who began building vacation homes in this beautiful valley. The Brock’s first discovered the valley when Mrs. Brock came to visit a friend’s cottage in 1927 and instantly fell in love with the lakeside community, as so many others have since. 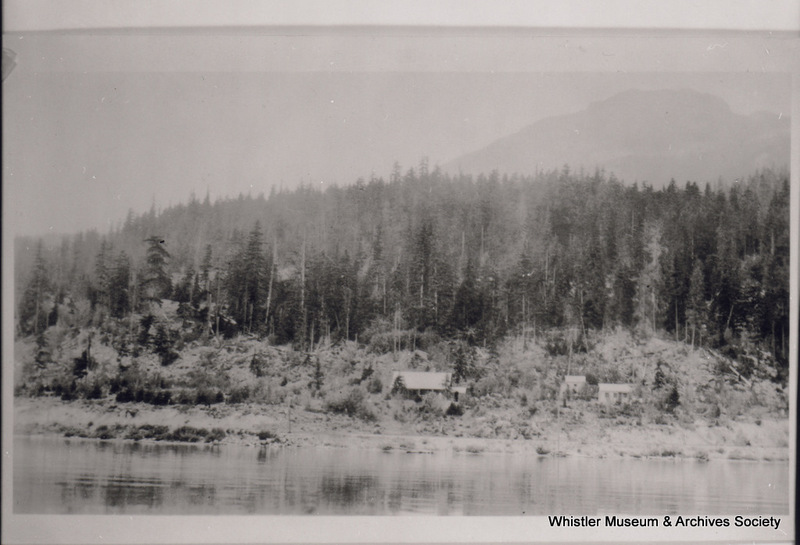 Two years later the Brock’s purchased two lots on the southwest corner of Alta Lake and hired Bert Harrop to build their cottage, which they named Primrose. The Brock's Primrose Cabin near the south end of Alta Lake. Every summer thereafter, the Brock’s visited Primrose along with their five sons– Patrick Willet, Byron Briton, David Hamilton, Thomas Leith and Philip (Pip) Gilbert. For Mr. and Mrs. Brock, Alta Lake was a peaceful summer retreat from their busy city lives. For their youngest child Pip, it became the jumping off point into a vast mountain wilderness just waiting to be explored. Pip had an especially strong draw to Whistler and would often come up on his own. Of course there was no Greyhound for a teenaged boy to ride—there wasn’t even a road—but that was no obstacle for Pip. After riding a steamship, most people hopped on the PGE railway to complete the day-long voyage from Vancouver to Alta Lake. The boat would get there at about 2 o’clock and if we felt like spending 50¢ we could take a taxi as far as Cheakeye, but sometimes we didn’t even want to do that. Believe it or not, 50¢ seemed like a lot of money! So we walked the whole 38 miles quite often. Even if folks were tougher back then, Pip Brock still stands out as exceptionally hardy—a trait that would serve him well in the mountains. As Brock plainly stated of the frequent 10-hour treks, “nobody else wanted to do the walking” so he usually went alone. Despite the lengthy hike, upon arrival, Pip didn’t rest up one bit. Instead he usually kept hiking right up into the surrounding mountains. He climbed some of the closer peaks as a teenager and began to gain notoriety among the locals for his mountain jaunts. Pip was able to parlay his love for the mountains into paid work up high. In the 1920s and 30s the City of Vancouver had substantial interest in developing the hydro-electric potential of Garibaldi Park’s many glacial lakes and streams to power the rapidly growing metropolis. For several summers Pip worked for the Vancouver Water Board hydro surveys, measuring water storage and hydro-electric potential in the mountains he loved so much. At the age of nineteen Pip made his first newsworthy ascent. It was Easter 1933, and with a new set of skis which he had purchased from Woodward’s department store (he later described them as “terrible”), he climbed to the top of Whistler Mountain and then proceeded to ski back down. Locals and visitors to Rainbow Lodge’ had been hiking to nearby summits like Whistler for some time, but this was the first ski ascent and descent of Whistler Mountain—thirty-two years before the arrival of lift-accessed skiing to the mountain. Locals didn’t believe the brash teenager’s claim until Pip pointed out his ski tracks through a set of binoculars. At the time serious mountain folk remained sceptical of skis’ utility as a means of travel. Once, when he dropped in on Harry Horstman’s Sproatt Mountain cabin on a set of skis, the indignant prospector retorted ‘What the hell you got them planks fur? I can get around twice as fast on my snowshoes as you can on them slitherin boards!” Even most recreational mountaineers, accustomed to the North Shore’s steep wooded slopes, thought skis’ potential as a mountaineering tool were dubious at best. One Vancouver climber went as far as to publicize a mock award for the first person to ski-climb the Camel, a vertical climbing crag that never holds any snow. Brock was among a small group of mountain-lovers who saw the great potential that skis held among the Coast Mountains’ vast glacial expanses. As Brock recalled in a 1992 interview with the Whistler Museum, “most mountaineers thought that skiing was impure and indecent. But a few of us being frivolous, realized the fun and value of skis for winter touring.” Brock soon befriended these other early converts, most notably the renowned climbers Don and Phyllis Munday. In 1930 the Mundays had begun their own (successful) experiments with ski-mountaineering in their widely publicized expeditions to Mount Waddington, the incredibly rugged and isolated highest peak in the Coast Mountains. Thanks to his own ski-mountaineering experience, the Mundays invited Pip along as a packer on their 1934 expedition, which also featured high profile American climbers Henry Hall and Hans Fuhrer (who eventually scored the prestigious first ascent of Waddington in 1936). Their party made an epic attempt on the highly technical, dangerous, and still-unclimbed peak—after eight years this was to be the Mundays’ last attempt on Waddington—and they also made several ascents during their four-week-long expedition. The following summer Pip would return with the Mundays to a new, largely unexplored set of mountains just to the north of Waddington. Their goal was to pursue more pioneer ascents in this superlative landscape, but this climbing trip would be cut short by an unexpected tragedy. 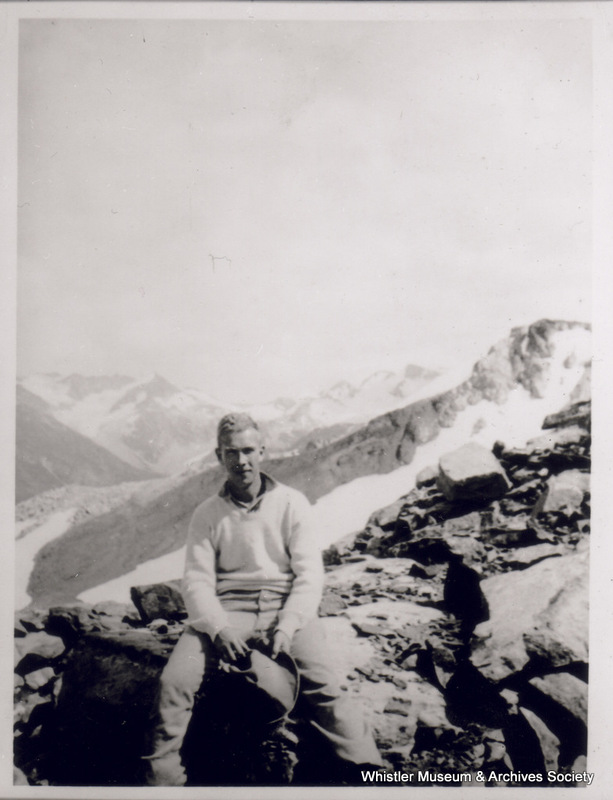 To learn about the tramautic loss of Pip’s parents, and his further ski-mountaineering adventures in the mountains surrounding Whistler, read part two here. This entry was posted in Pioneers, Recreation and tagged Alta Lake, backcountry skiing, Brock, Mountaineering, Munday, ski touring, Ski-mountaineering, Whistler. Bookmark the permalink.